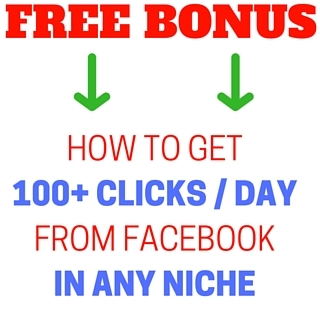 In today’s post I want to share with you a new traffic strategy that I am currently implementing on one of my projects outside of the Internet Marketing niche. This strategy allows me to build a long-term source of traffic, and I hope that you find it useful for your business as well, so that you can benefit from it as well. The strategy will involve social media, and the platforms on which I work are Instagram, Facebook, Pinterest and Twitter. I am going to leverage the social media influencers in my chosen niche. Why the influencers? Well, social media is all about sharing content. And those who have huge followings are in desperate need of more content to share, simply because there is never enough. So by engaging those influencers, and by providing high quality content for them we are able to get traffic to our sites and to offer the influencers something to share. Now let’s go through each step. The influencers that you want to find are small to medium size bloggers in your niche who are active on social media. There is no point in approaching huge blogs or corporate sites because chances of them noticing you and working with you are close to zero. There are several ways for you to find the small to medium social media influencers in your niche. This is the first place to start. If you are in the travel niche, you can search for something like “Top Travel Blogs” or “Top 50 Travel Blogs” and then go through the lists that the searches will bring up. Create a spreadsheet. Then, for each blog, record their Facebook page URL, how many followers they have. Same for Twitter, Pinterest, Instagram. Using BuzzSumo.com, you will be able to find content that has had the largest number of shares. You will need to analyze the results, and skip all large corporate sites. Check out the smaller blogs, and record how many followers they have. You can do your research on Facebook and search for terms relevant to your niche, for example “luxury vacations”. Then create a list of pages in your niche, check out their websites, and narrow the list down to blogs that are active. Record their social properties and amount of following. By now you should have a pretty good idea of the 10-20 influencers who look big enough but not too big. What you are looking for is over 10,000 followers on at least one of their social media accounts. Now that you have your list of social influencers, it’s time to engage with them. Creation of a blog is out of scope for this post, but if you need help with it, here is nice post about it. There are awesome gigs on Fiverr which will create a blog for you for just $5. Now that you have your blog set up and populated with some decent content, you will need to start engaging with your target influencers. What is the reason those influencers make posts on social media? They want engagement. And that’s exactly what we are going to do. You set into a routine where you subscribe to their blog, and follow them on all social channels. Reply to their blog posts, comment on their social media posts. Repeat this until you have had at least some interaction with them. In several days, you will know which of them are willing to engage with you. Discard the rest. If you don’t have at least 10 influencers wishing to interact with you, go back to Step 1 and find some more to target. Now we will create what’s called the post. Depending on your niche, the content will be different. The type of posts I like are numbered lists. The main thing to do though is to work in some references to content from your influencers‘ blogs. Why? Because we want to feature them in some way, and to give them a reason to share your article later. Write something nice and cool about them in the body of the article, and try to work in every influencer into the article. Now that your post is published, it’s time to let your influencers know about it. The results will come down to the relationship you’ve built with each person, and you can expect somewhere between a 20%-50% success rate. Don’t look at rejections as failures – it’s all a numbers game, and each no is taking you closer to a yes. By now, if you follow these steps, you will have about 10 influencers with whom you’ve got a relationship, and several of them have shared your article. If choose the right size influencers, that will mean that it’s likely you’ve had several thousand visitors to your post. Not bad considering all of it was free. What’s even better is that you will be able to do it again and again. Critical to the success of this overall strategy is that all along you are building your own list and social media following. That means having optin forms on your blog and prompts asking people to like you and follow you on your own social media channels. I have already made a list of influencers in my niche and would be soon writing a what is called a “Round up Post”. Got this strategy from somewhere else but good to read here which reinforced my plan for it. Thanks Greg.